Switch back and forth between reading the Kindle book and listening to the Audible narration. Add narration for a reduced price of £5.47 after you buy the Kindle book. This is a space opera, but not of the "clashing space fleets" variety, or even the "rollicking fun tale of adventures in space" type, but a more chewy and contemplative type. Comparisons to other books are sometimes a bit lazy, but I intend high praise when I say this did put me in mind of something between Iain M Bank's Culture and Becky Chamber's Wayfarers, with at least an element of CJ Cherryh as well. The story is tightly wound around Haimey Dz, a salvager working deep space rescues with her partner Connla, snarky AI Singer, and two cats. Haimey slowly revels both her self and the society she lives in, which is a conglomeration of alien species in cooperation, and to fit in humans have modified themselves both physically and mentally, adjusting their brain chemistry on the fly to keep them from acting badly. Haimey is a very strong example of this - she has Something In Her Past and she's practically been rebuilt as a person as a result of that. The story is quite slow to get going, and because it's being narrated by Haimey - a person perpetually taking the edge off her emotions - there's a peculiar flatness about the story to start with. Once the story kicked into high gear and I realised why I was getting that flat feeling then it really clicked for me. What's so clever and good to chew on are the questions here about how a society works - how do you grow or engineer one, what do people give up to be part of one? The society is trying to transition into a post-scarcity model but it's not there yet - there are rebel pirates lurking around - and the best parts of the story are when Haimey is trapped in a hate/love relationship with one of these so-called pirates and has to confront the truth about her society and herself. Throw in some Big Ideas of suitably operatic scale to drive the plot around, and you have a fascinating and clever piece of space opera. Beautifully written, exciting scifi with cats. An engaging plot and well drawn characters enriched with EB’s carefully thought if occasionally repetitive philosophy. A novel to read and savour. 25% interesting plot, 75% first person emo narration. Should be categorized as YA. An editor should do more than correct grammar. A good editor will point out meanderings and repetitiveness, both of which sink this book. About 40% in a began skimming. By 50% I was skimming a lot. I wanted to find out what happened. Dreadful and it is an insult to Iain Banks to compare this in any way to the Culture series except for his ship names, something this book appropriates. If you like Banks or Reynolds or even The Expanse, give this a hard pass. It in no way measures up, not even close. 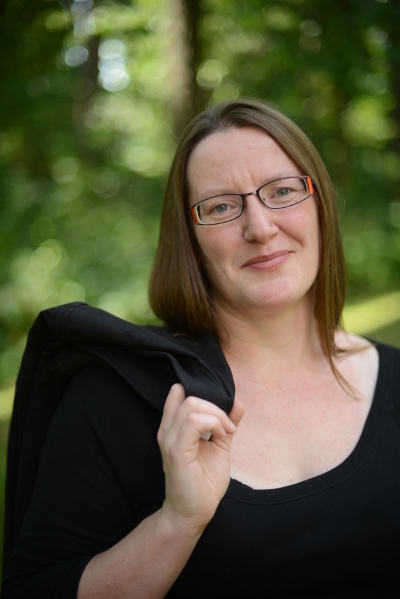 Elizabeth Bear has created a new universe for space opera to flourish that' full of cultural texture, solid characters, and inevitable conflict. The crew of the salvage tug Singer, two humans and an AI working its way out of "instantiation debt" are barely making ends meet when they come across the find of a lifetime - an massive alien ship with technology beyond that of the Synarche, the galactic civilization that all known sentients belong to. Except for the pirates. And the giant space-going life-forms known as the Ativahikas. Before they can solve the mystery of the derelict the action starts in and suddenly they're on the run with alien technology that could change the face of the galaxy. And incidentally, the ships AI has been called in for the galactic equivalent of jury duty, spending a term participating in running the Synarche. Station masters colluding with pirates, war crimes kept secret, and the emergent backstories of the characters all build up a well-textured story, and the basis for further explorations in the White Space Universe. The author does tend to get distracted by the world she's created, sharing details on the politics, technology, and culture of her universe in a way that slows things down at the start, but it's Big Idea SF and anyway things pick up pretty quickly, and as I've intimated, she's building the foundation for a universe that will support more than one story. She's managed the most important step here, introducing us to a trio of engaging characters: Haimey the main character and salvage engineer, who shares some character DNA with the Expanse's Naomi Ngata, Connla, a pilot, gender-indifferent skirt chaser, and strategy game aficionado, and Singer, a shipbrain with a passion for political theory. 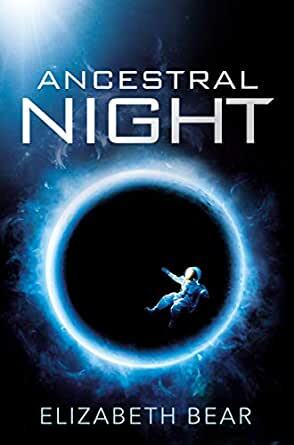 If you're a fan of James S. A. Corey, Alistair Reynolds, Ian Banks, Jack McDevitt, or really, anyone who does really good space opera, you should enjoy this and look forward to more White Space books to come. It's a first person narrative with immense amounts of info dumps. I couldn't finish it. I wanted to finish it. It had an interesting premise. But the execution just wasn't there. I can't recommend it. It's certainly NOT in the same ball park as The Culture which makes this novel seem pale and lifeless. I like Bear as an author, however; this book has the reader spend so much time listening to the main characters internal voice that it became frankly boring. At one point this continued for 3% of the entire novel, where the main character ruminated at length. And that was only one small section. Unfortunately, the main characters internal voice isn’t particularly interesting. We are also treated to long sections disguised as the crew debating various philosophical bents. Again, it’s only vaguely interesting and detracts from the story. The story ? A worthy one, completely lost in the hundreds of pages of either the main characters ‘thoughts’, or the crews ‘fascinating’ debates. It’s a shame. If Bear wanted to write essays, perhaps she shouldn’t advertise them as sci-fi novels.